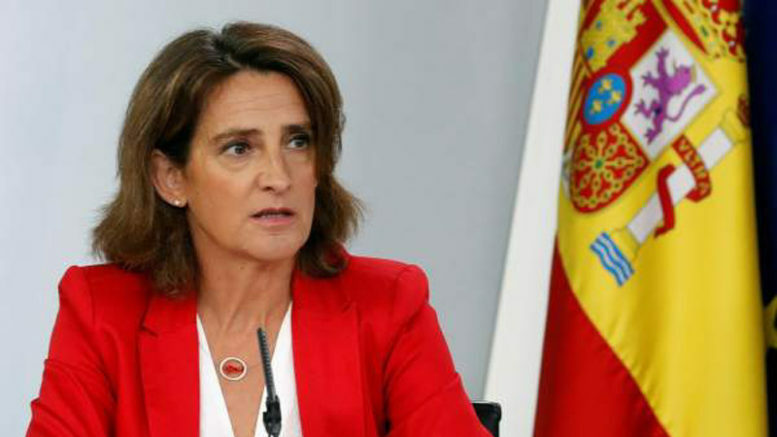 Spain’s new minister for energy and the environment, Teresa Ribera, announced Friday that the government will introduce legislation into Congress that will scrap the controversial five-year-old “sun tax” on self-consumption of solar power by homeowners and businesses. At the same time, she said, the legislation will include additional measures aimed at cutting monthly electricity costs for consumers, said to be the fourth highest among countries in the European Union. Ribera, whose full title is Minister for the Ecological Transition of Spain ( Ministra para la Transición Ecológica de España), told reporters at a press conference following the regular Council of Ministers Friday that the Socialist government of President Pedro Sánchez will introduce the legislation as a decreto ley (decree law), in order to avoid the slow process of debate and amendment and put the measure to a full vote of Congress as soon as possible. According to Ribera, the legislation will ratify a resolution recognizing the right of Spaniards to consume self-generated solar power that was approved by all opposition parties in Congress last year over the objection of the then-governing conservative Partido Popular (PP). In 2013, the PP majority under former President Mariano Rajoy approved Spain’s first legislation governing the use of solar power, which included the highly controversial “solar tax” on power generated by individual homeowners or businesses for self-consumption. “We are ending all bureaucratic obstacles that have impeded the development of self-consumption (of energy) in our country,” Ribera said. She added that the measure would free Spain from what she called the “great absurdity” of being the sunniest country in Europe, yet having only 1,000 solar self-consumption installations nationwide — as opposed to Germany, which has more than 1 million such solar power-generation installations for self-consumption. Ribera said the new legislation will also include several measures designed to cut monthly electricity costs to consumers, among them a six-month suspension of a 7 percent levy on power generation which Spanish utilities have been allowed to pass along to households. The lifting of the levy for six months is expected to immediately cut the average monthly power bill by around 4 percent, she said. In addition, Spanish utilities will no longer be allowed to send salespersons door to door to pitch consumers to sign up for their service on the spot, while the the utilities will also be required to provide greater clarity as to how electricity costs are calculated and provide information to help consumers reduce their electricity bills.